So Bumble has had a pretty amazing summer & she also likes to write a lot! So here is part one of her ‘bumbletastic’ (her word, not mine!) summer! So, this summer was quite a busy couple of months for me! 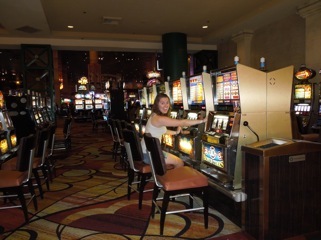 It started with a four-day trip to Las Vegas with my beloved family. Last time we were there, Mom and I saw Cher at Caesar’s Palace. This time, we were fortunate enough to see Celine Dion! It was fantastic and I had such a great time – Celine is unbelievable. The things she can do with her voice – incredible. And her dancing is the best – she is not afraid be herself. Granted, if I was a multi-millionaire, I wouldn’t be either. Heck, I’m not afraid to be myself now, and I only have like $800 in my savings after this summer’s adventures haha. Anyway. 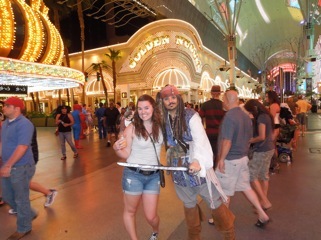 I always have a great time on family vacations, and this trip to Vegas was no exception. After Vegas, I had a few days to re-pack, and then the summer really got started. The first leg of my four-week long trip took me from Texas back to Newport News, VA. I had applied to be an Orientation leader for my University’s Leadership program, and was lucky enough to be selected. I spent Monday and half of Tuesday in training, and then my cofac (co-facilitator, there were two of us per team of about 14 incoming freshmen!) and I got our kids! We call them our SLAP babies… SLAP stand for Student Leadership Adventure Program. It’s the second half of college orientation for Christopher Newport University, but only students who have been accepted to our President’s Leadership Program attend this half of orientation. The goal of the week is to make the incoming freshmen feel more comfortable and excited about coming to CNU. In addition to making them do ridiculous things like endless name games and icebreaker activities (I think ‘Ride that Pony’ is my favorite… Google it. You won’t regret it. ), we also work on teambuilding and begin to introduce them to the concept of leadership and what it means to our University. It was such an inspirational week for me; being put in charge of these kids allowed me to step up and further explore my own leadership style, and I bonded so much with the other facilitators and pro-staff. Such great people; I learned so much from them. From taking accidental naps in our University’s arts building to completely decking ourselves out in spirit wear, from making fools of ourselves in mostly-choreographed talent show dancing to playful marriage proposals, from two a.m. pizza runs and laughing till we cried, I really can’t put into words how great of an experience this was in enough of a way to make anyone who wasn’t there understand. But obviously I tried. So you’re welcome. Stay tuned for parts 2 & 3!! Hey, this is a good post. i like this girl, she seems like a pretty cool kid. You should be best friends with this 'bumble' character. It would make your life pretty funny, I'd guess… just sayin'….